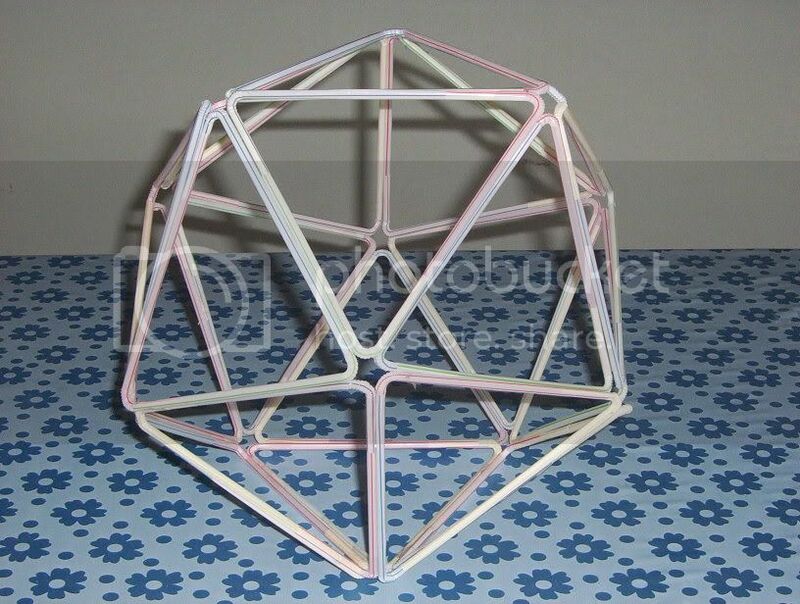 A complete complex straw structure. In order to advance our abilities to produce more beautiful and meaningful straw structures, we have duly completed a complex bit of building. Straw is a simple yet complex building material. By effectively combining straws in different positions, we increase the material strength of the straw many fold in order to support larger and more complex structures. 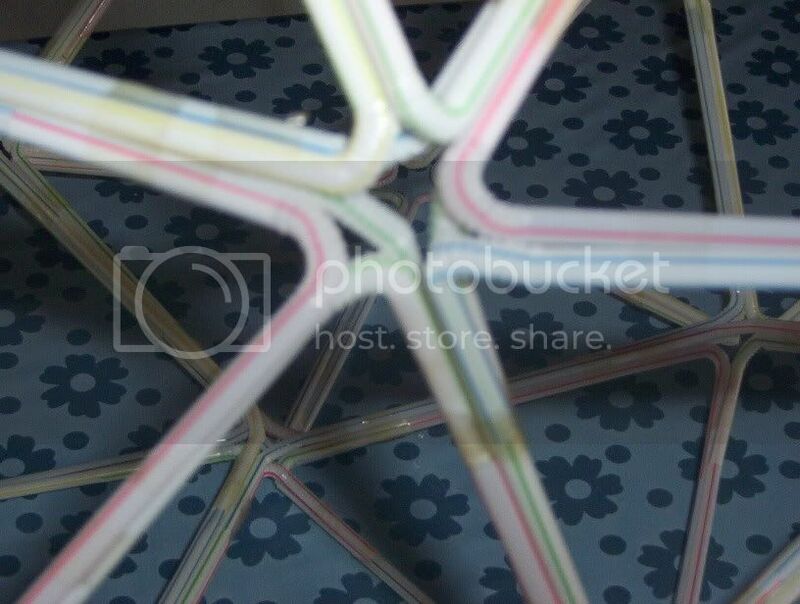 Although the basic tensile strength of the straw comes into question for mega-structures, it is possible to strengthen the support straws using short lengths of wires. This is another complex structure we have built. 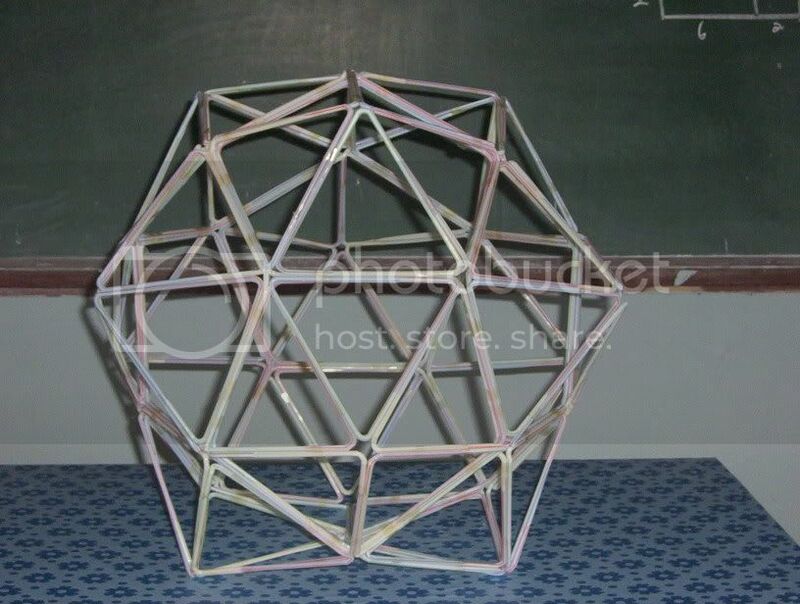 It was this structure that alerted us about the material strength of our building material, simple straws. In order to further understand the method of construction, included below is the joints building these complex structures.